Coral Cities are visualisations of drive-time analysis: the distance that can be travelled in a particular amount of time as one leaves the centre of a city. Check this Vimeo visualisation of several cities, which resemble corals as they grow. UK Coral Cities from ItoWorld on Vimeo. Small multiples visualisation of drive time analysis visualised as 3d corals. There is also an option for you to investigate the Travel Times from your own location, using the Travel Time Platform website. 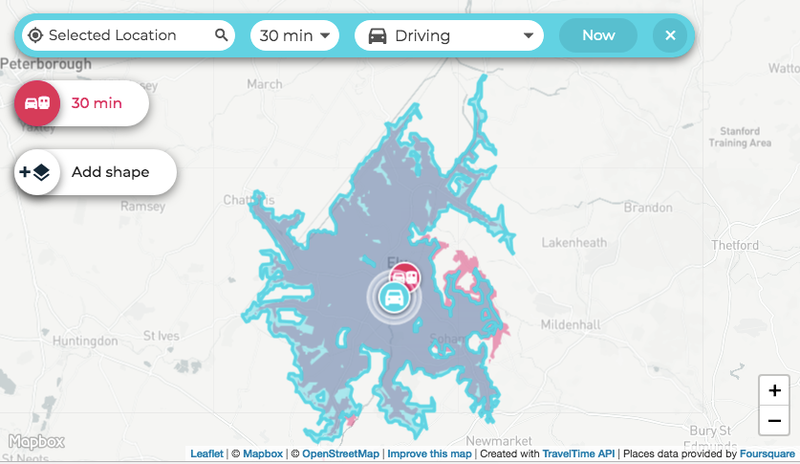 This allows you to visualise travel times from particular locations. Click 'Make your own travel time map'.